There has been a trending video on Twitter with over 25,000 Shares; showing a rose gold iPhone 7 Plus catching on fire. This incident has gotten to the desk of its manufacturer -Apple-. 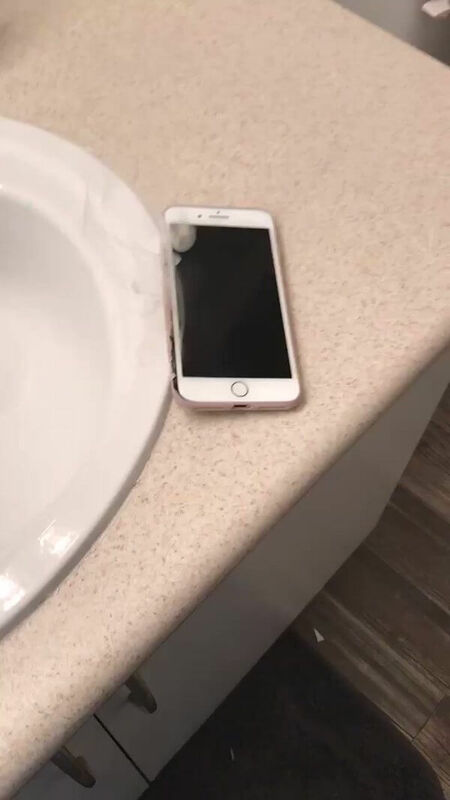 According to the victim - Brianna Olivas, on Twitter, says the phone was not charging and there is no explanation how this has happened. Smoke was the first indication something was wrong with the iPhone, and seconds later its metal shell burst with even more smoke. Obviously, there was an issue with the battery, which swelled, caught on fire, and then broke the phone. Luckily, nobody was hurt by the phone and there are no property damages. This incident reminds me of the Samsung Galaxy Note 7 fire saga. It was really a bad one for the company as a whole. Anyway, Apple has contacted the victim Briannas Olivas on getting to investigate the cause of the blowing up. I can't even imagine such a big phone like iPhone 7 Plus catching fire. It's a disgrace if you ask me. What's your say on this? iPhone 7 plus catches fire. iPhone 7 plus blown up. Apple investigating iPhone 7 plus fire incident. Call me a conspiracy theorist but all these phone blast ain't normal. I believe rival trying to spoil each other name. Samsung would have don their due diligence on the note 7 before bringing it out but they keep acting up. Means there are some sort of implant. Now Apple. Well, what do I know sha?